This entry was posted in Collections, Lothian Health Services Archive, Projects on November 4, 2013 by universitycollectionsvolunteers. 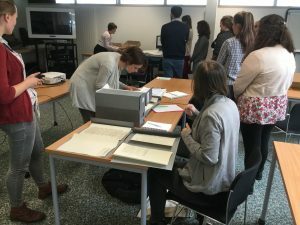 LHSA Archive Intern and LHSA Conservation Intern (Fiona and Charlotte have been working with us as the LHSA interns for the past 10 weeks). Fiona: I have been working on part of the LHSA photograph collection. My role here has been to create a new finding aid and re-house the photos (4000 photographs out of 40,000). Many of the photographs I have come across have been very interesting. The experience here has been great fun and I will be returning as a volunteer to complete the project since I am determined to finish it. 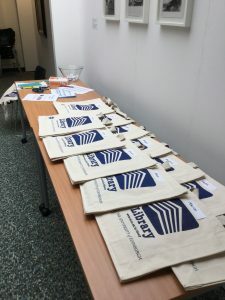 Charlotte: During the 10 weeks I have been working on a project to conserve and re-house items from a collection of letters, legal documents and title deeds relating to the Royal Edinburgh Infirmary. 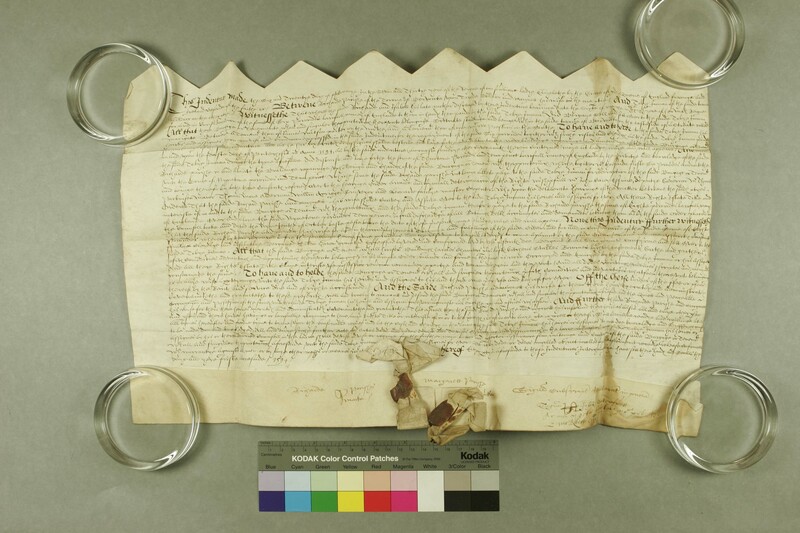 The earliest item is a parchment title deed dated 1594 and material continues up to the early 20th Century. 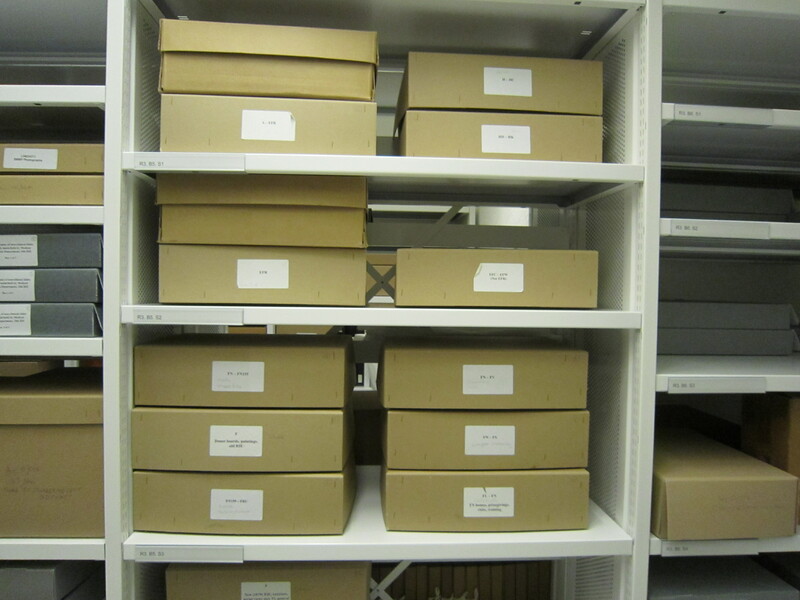 An important part of the project was to survey the collection (which has not been catalogued) and decide with the LHSA archivist and conservator on items to prioritise. The parchment title deeds were a focus, but safe handling was difficult at times due to the way they are folded, their size and the nature of parchment as a material. I did some research to find the most suitable method of flattening the title deeds (where appropriate), storage has been created and a special folder made to help with safe handling when opening the title deeds. 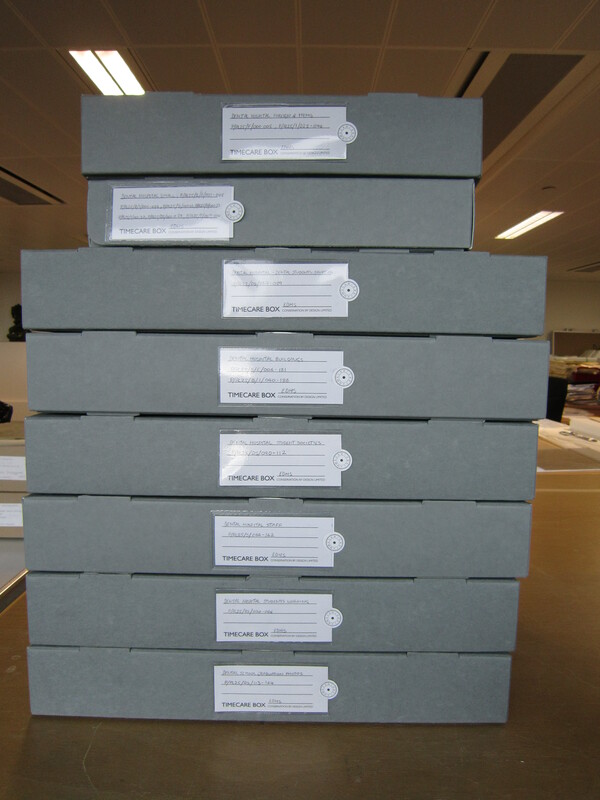 Some of the paper documents contained iron gall ink which was a concern as iron gall ink can severely degrade paper. Treatment options were chosen that were sensitive to the nature of iron gall ink and that would help to stabilise the documents. Other activities were included in the internship; I led a training day for volunteers to learn about the basic principles of conservation and I have helped with student seminars as well as attending visits. I have had an amazing time here at the University and have learnt so much! I really feel like a part of the team, and I am really sad that this is our last week here. 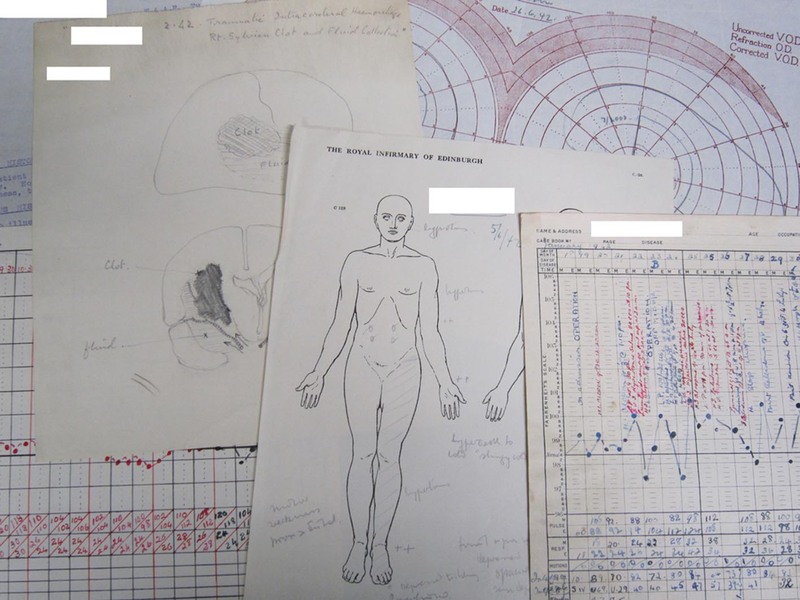 This entry was posted in Collections, Interns, Lothian Health Services Archive on March 27, 2013 by universitycollectionsvolunteers.